Since you spend so much time planning about the D-day, it might be worth setting aside some time to think about whether you are absolutely ready. There are plenty of things to ponder, we assure you. Are you ready for a lifelong commitment? Make no mistake, this isn’t a coffee and a movie date, this isn’t something which you can break away from over a SMS. Surveys reveal that people change considerably during their teens and 20’s. Unless you have reached that certain maturity level as an individual, you never know if a relationship which worked for your younger years will still be working many years later. You are still discovering your ability to commit, last and endure as much as the other person. Most of all, have you experienced all you wanted to as a single person and content with the decision you are making? Are you similar enough? How do your thoughts and actions stack up vis-à-vis important issues like faith, spirituality, religion, finances, ambition (professional and personal) and having children? How do you both relate or define a “good relationship”? DO you frequently experience personality clashes or are you mostly in sync and complete each other’s sentences? Then again, while some people love the similarities, others enjoy the polar opposites for the ability to add some spice to the relationship. Belief System — as an extension to the previous point, question yourself if the important principles of your relationship experience are the same as the other person. How do they view the things you need to make a relationship work? Are you both reading from the same page on aspects like loyalty, honesty, trust, and forgiveness and anger management? Is there some defined ‘off limits’ behavior in your relationship. It is best to know these before the plunge. Communication skills — The single most critical aspect of a healthy relationship is to communicate with your partner? Do you end up having fair fights or does one of you end up being unreasonably aggressive, violent or defensive? Are your disagreements civil? — how will you handle this? Establish some communication ground rules, discuss specific issues and pet peeves like arguing, name-calling, raising your voice or physical abuse. If you can compromise, negotiate and concur, you’re on the right track. 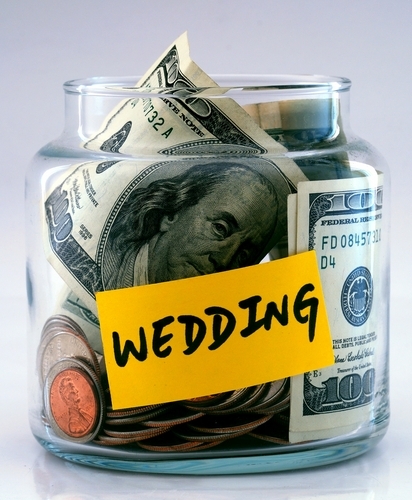 Finances — And the big, ugly question – do you have enough savings to consider a marriage? Make no mistake, marriages can be an expensive affair. How will you spend your money for the household once you plan a life together. Discuss the major expenses you might incur, the minor aspects and spending habits which may have to be turned around. While discussing these money issues ahead of time can be awkward getting an early feel for where your money should go si a healthy discussion. It can prevent disagreements later in the day. Remain objective and non-judgmental but suggest handily on buying, saving, and sharing bank accounts. Ask how will the bills be split up? And no matter how superficial it sounds, in todays world rife with frequent separation and divorce issues – prenups are anything but a bad agreement. It can save you a lot of heartache later in the relationship should it not work out as planned. Factor in a life outside of marriage — You need to have a life outside of marriage. Your partner is vital, but just as important is the fact that you need your personal and professional space, your recreations and to maintain your identity rather than to lose yourself in your mate. If you need to set some time aside to spend time with friends, hobbies or children discuss that frankly. If there are some habits which need to be discontinued or changed once you begin your married life that must come up at this point as well. Do you want to have children? The count? The plans to raise them, care for them, train and discipline them? Should you encounter unforeseen issues like infertility and adoption how do you tackle those? Children change the entire dynamics of your relationship and you will have less time to focus just two of you, the attention spans and patience would be tested. It’s important not to forget your original roles as a spouse as they conflict with new demands on your time and efforts. Remarrying/Bringing families together — Several couples today have one or more partner who has been married before. This isn’t a deal breaker, but you may need to address additional issues. There could be kids involved, estimate your role with them. Do you expect the role of your partner to change, is there a certain preference around it? Discuss the relationships with your ex-partners and how they may possibly figure in the new relationships. Your spouse may not be instantly comfortable around these either. Find a way around or seek counseling. In addition factors like personal space, physical relationships in long term, and long term goals of your life must be something which you share with your partner. Marriage is more than just two soulmates deciding to spend a life together. It must be important to discuss aspects like friends, family and other emotional baggage which can impact a relationship. It is a two-way street of emotions and material factors which two people need to make it work. 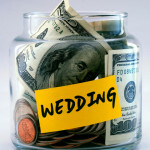 FREE Wedding Budget Planner Sign-up below! Copyright 2018 by Art of Marriage.